The release of Armello snuck by me earlier this month. Granted, my month has been crazy busy. 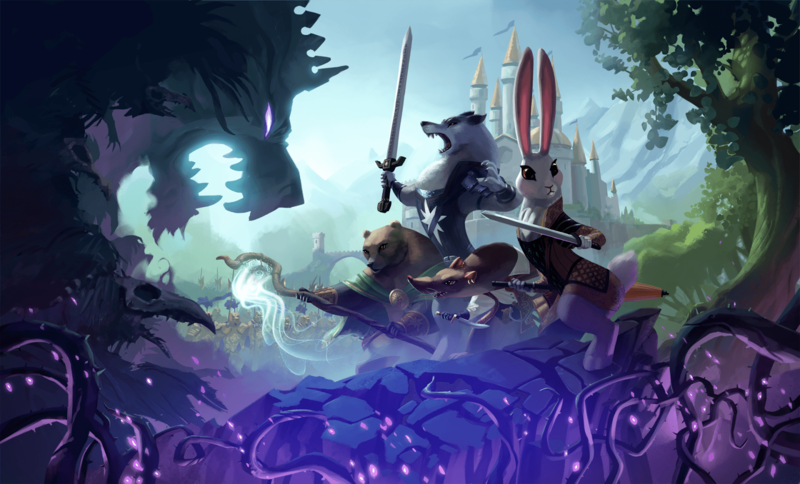 I was looking through my current Steam games the other night and saw that Armello was no longer listed as early access. Since then, I've jumped in and played a bunch of games. I thought it had potential when I bought it in Early Access and it's definitely come a long way. Things are much more clear and make more sense at a glance now. They done a lot to improve how information is displayed to the player and it goes a long way toward making this a great game. It's still an interesting blend of board game and video game with a unique aesthetic style. It feels the way that a tabletop/videogame hybrid should feel. It's very cool. I even branched out from the AI and played a few games with real people online. Those were actually much more compelling than any of the AI games I had played. The AI seems overly smart and vindictive against a single player playing the game. Other players don't have this problem. I think online games against real people will be my preferred way to play from now on. Almost everything I've experienced has been an improvement. My only gripe is that games are still a little bit too slow. I wish they would crank up the animation speed of everything so that I could play games in half the time. It feels like a lot of time is spent waiting for the other players or AI to take their turn. But that's my only complaint. I really like the game overall! I can't recommend it at it's current $20 price point, but I would suggest you go to the Steam page and put this game in your wishlist. You know it will fall to that magical $10 price point within the next Steam sale or two. That's when you should buy it.